When young children learn and play alongside peers with special needs, chances are they will be more understanding and accepting of people with disabilities when they are older. 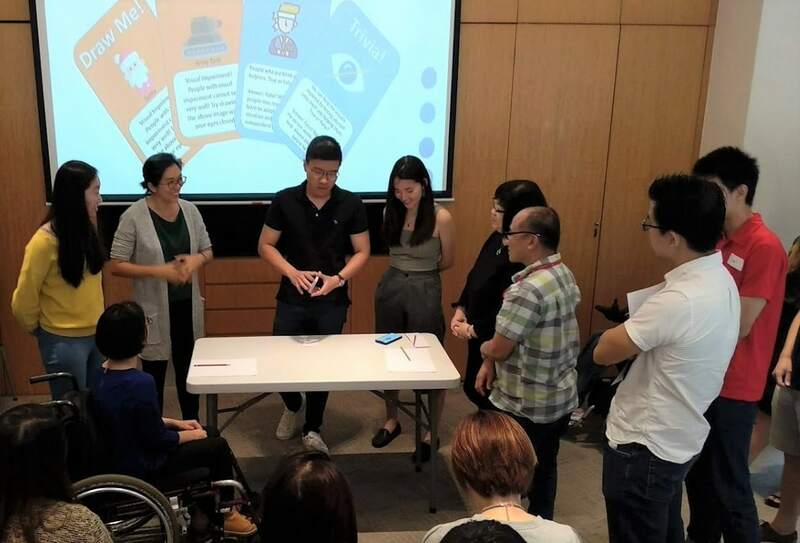 A group of youths came up with the idea of a card game to help primary school students understand disability in an interesting way. 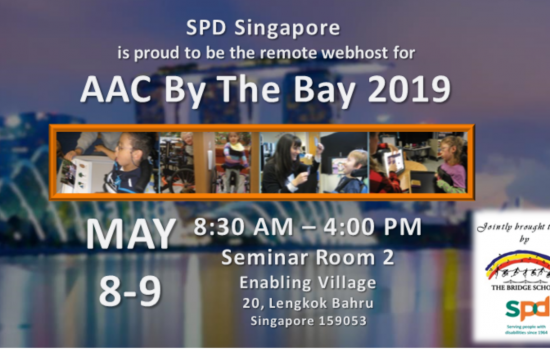 Naming themselves Team Aurora, Lim Fang Wei, Rachel Tan and Raymond Zheng who joined the Youth Development Programme (YDP) decided to design a card game as a fun way to help primary school students to learn about disability. They believe that inclusion should start from a young age when one would be more receptive to new ideas and have fewer preconceived notions. The deck consists of “true-or-false” and “drawing” cards. Participants who draw the former will have to ascertain if the scenario described on the card is true or otherwise. For example, “People who are blind are helpless. True or false?” Explanations are included to correct misperceptions. 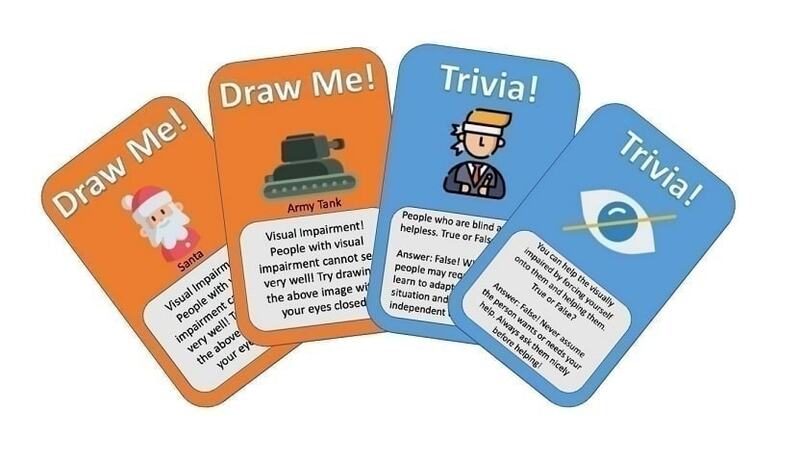 When “drawing” cards are picked, participants have to draw objects while having to deal with various constraints as instructed on the card, for example, draw with their eyes closed or with their non-master hand, to simulate the limitations of a disability. Their team mates would then have to guess what is being drawn. The team with the most number of correct answers wins the game. 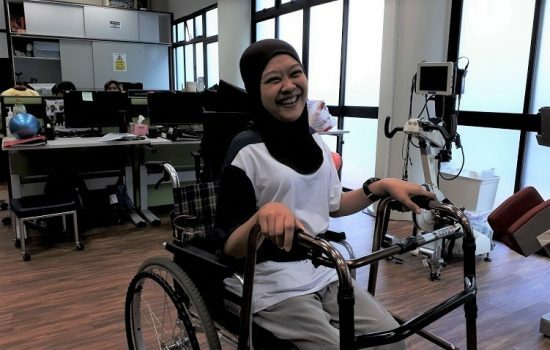 Through this interactive way, the players would get to learn about objects and items related to disability, such as wheelchairs and white canes, as well as gain greater understanding of persons with disabilities. “After playing our card game, I hope that these children will have more empathy towards people with disabilities. 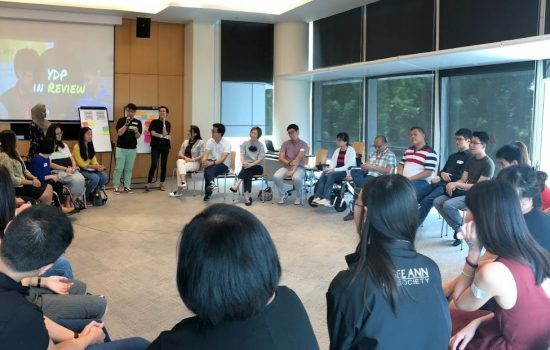 I want to inspire a new generation of youths who can join us in making Singapore a more inclusive society,” said Fang Wei. 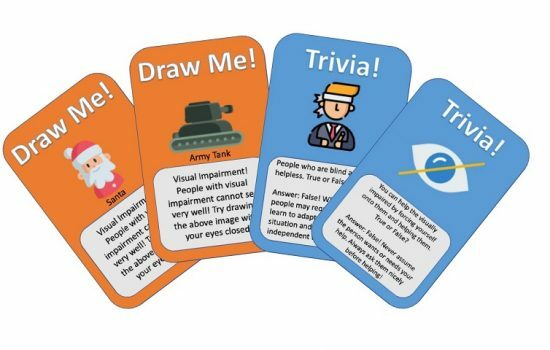 With seed funding received through YDP, Team Aurora is fine-tuning the content of the card game and hope to engage primary schools to promote inclusion, one deck at a time.